A FOREST FULL OF FAIRIES! Bet you didn't think you'd find THESE in our beautiful Forest of Tranquility? But there you go ... all sorts of surprises await you here....and this month we expect to find fairies making an appearance! 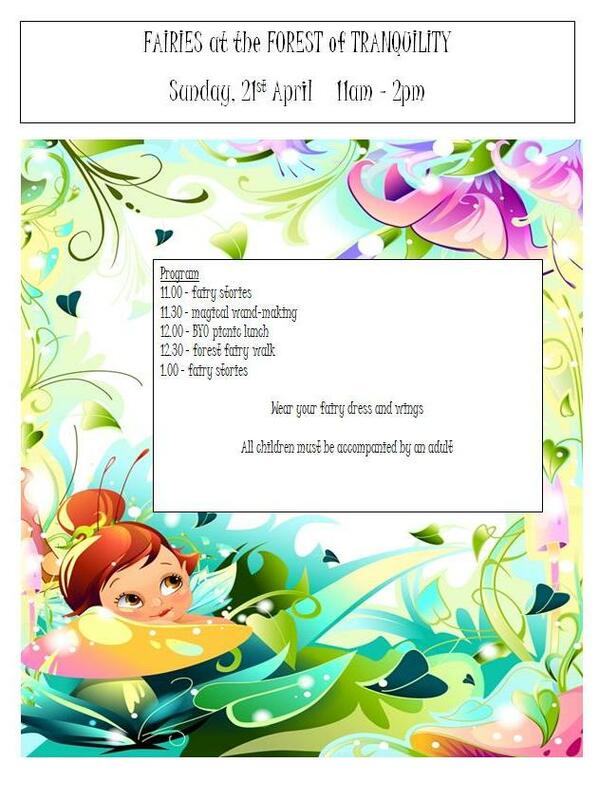 Get dressed up as your favourite Fairy and come and play with us at Fairyland. 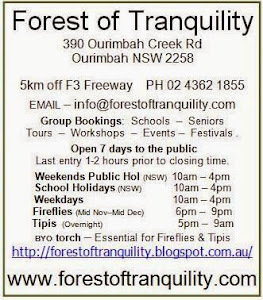 Make a magic wand - take a magic forest fairy walk and hear fairy stories. BYO picnic lunch and drinks or buy cold drinks and Rainbow Icecreams $1.50 and of course - it wouldn't be fairyland without Fairyfloss too, would it? NOTE: Bookings essential to reserve a place and to be able to meet our visiting Fairies for the Day.